What do you do when your child really doesn't want to play hockey? As a long time house league coach in Toronto, I've seen a few kids pass through my teams who really don't want to be there. Last season, for instance, we had a young lad on our Atom squad that made no secret of the fact that he was only there because his dad wanted him to play. In fact, at practice, the little guy would ask just one question of the coaches who were there to help him out. "What time is practice over?" Thankfully, for the frustrated coaches and the kid himself, he's not playing hockey this year, as it was obvious it just wasn't his thing. There's nothing wrong with that. However, if a player's lack of interest and commitment is having a negative impact on the other players on the team who actually like the game and want to put their best foot forward, it's time for parents to push their child in another recreational direction. A lot of Canadian parents, of course, want their child to experience the game of hockey. 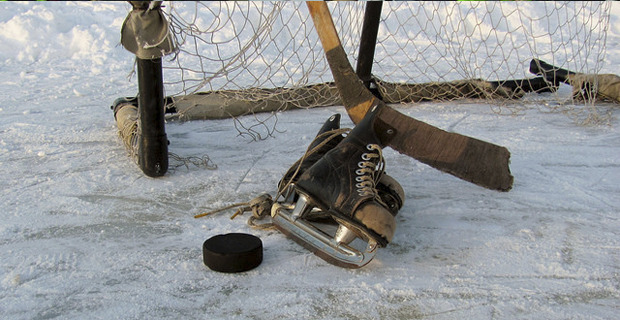 After all, it is our national sport and many moms and dads have wonderful hockey memories from their own childhood. But not everyone is a hockey nut and if that's the case, there are tons of alternatives out there. I have a friend who raised two kids and used a formula that I think was very intelligent. My friend's children had a choice. They could pick whatever activity they wanted, but they had to select something from three different categories - sports, music and a charitable endeavor. It didn't matter what they chose, but they had to select something from all three areas. So, not only were the kids exposed to three important areas of life, they were also given the power of choice to determine their own path; and the results were pretty impressive. No, neither of the kids picked hockey as their sport, but this specific "family formula' did produce a nationally ranked synchronized swimmer, a talented clarinet player, and a couple of young people who did a lot of great work building houses for families in need as part of the Habitat for Humanity program. Hockey is a great sport – but only if the people playing it actually want to be there. By all means, give your kids sufficient time to figure out if they enjoy hitting the ice. But if they're constantly complaining about having to attend practices and games, or even shedding tears over it, it might be time to suggest they try something else. For instance, "The Hockey Song" by Stompin' Tom is one of the greatest tunes of all time. Maybe your child would enjoy playing it on the clarinet.